Join our corporate matching program! 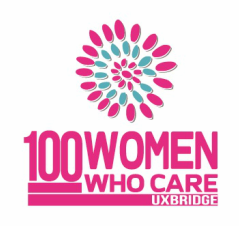 Your business, department, professional or networking associations can join with 100 Women Who Care Uxbridge by matching the donations of our members. You can match one member, our entire membership or somewhere in between. Please consider matching your staff's donations if they are already members. Corporate sponsors will be thanked and mentioned at our meetings and recognized on our Facebook Page, Twitter and website. We will also mention our sponsors during communication with media outlets. Encourage your staff to join the cause; spread the word about the 100 Women initiative and help us build awareness for charities in our community. "Like" us on Facebook, follow us on Twitter and share our links on your website and social media pages. Since all of our members' donation are given to the selected charities, the operational costs are generously donated by our sponsors and Executive. As our organization grows, so do the costs to run it. Our wish list consists of items that are needed for our quarterly meetings. This list will be updated as necessary to reflect our needs. Please contact us at info@100womenuxbridge.com if you wish to give a gift.